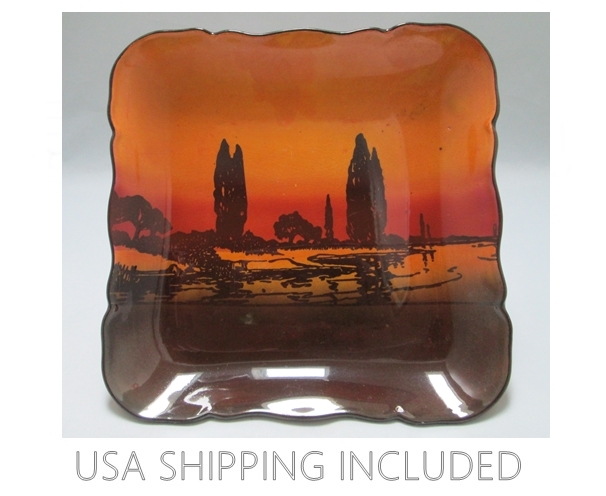 This lovely Art Deco tray was made by the popular English firm of Royal Doulton between the years 1911 and 1940. 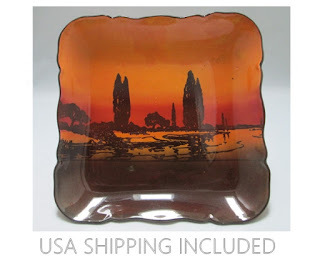 The pattern is a transfer called "Poplars at Sunset" in a mixture of shades of brown, mustard and orange under a high gloss glaze. The dark silhouettes of the poplars are dramatic against the flame colors of the sky that are reflected in the water.